Herb Thomas was one of NASCAR’s pioneers, the first two-time champion in the Grand National (now Sprint Cup) Series and winner of 48 races in his short 10-year career. Thomas, along with Buck Baker, Cotton Owens, Leonard Wood and Rusty Wallace, will be inducted into the Hall of Fame on February 8, 2013. Herbert Watson Thomas was born April 6, 1923 in Olivia, North Carolina. He made his NASCAR debut in the Strictly Stock division (the forerunner to the Grand National and Cup Series) in 1949 and won his first race in 1950. In 1951, Thomas won six races late in the season to take his first title with legendary crew chief Smokey Yunick. 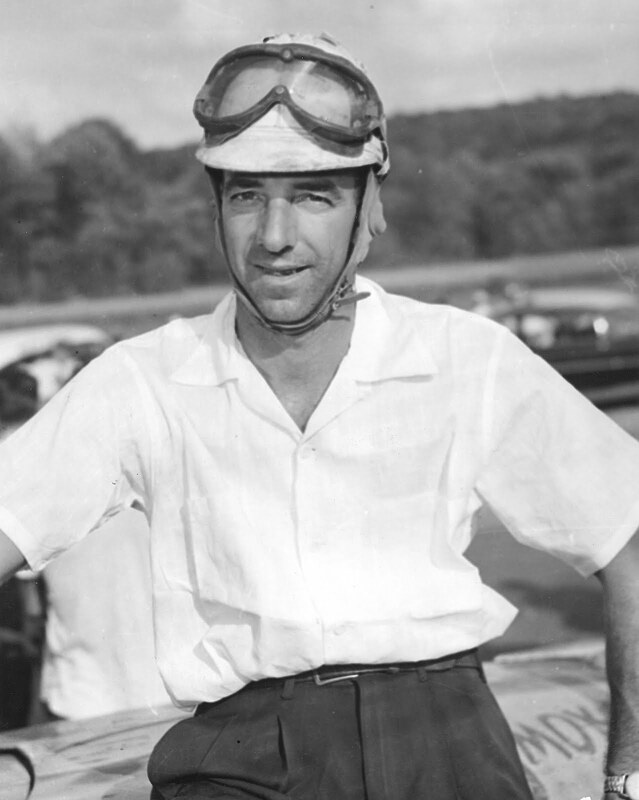 His second title came two seasons later in 1953, winning 12 of the season’s 37 races. From 1951 to 1956, Thomas never finished worst than fifth in points, including those two championships and tree runner-up finishes. He also earned all 48 of his wins during that time period. At the end of the 1956 season, Thomas was seriously injured in a race in Shelby, North Carolina, ending his career; he made three more starts, but saw little success. Thomas’ 48 victories included three wins in the Southern 500 at Darlington Raceway; he was also the first owner/driver to win the championship. Thomas ran the “Fabulous Hudson Hornet” with much success from 1951 to 1954. Thomas died on August 9, 2000 at age 77 after suffering a heart attack. Thomas was inducted into the International Motorsports Hall of Fame in 1994 and named one of NASCAR’s 50 Greatest Drivers in 1998.